I leave Sunday for a two week tour. 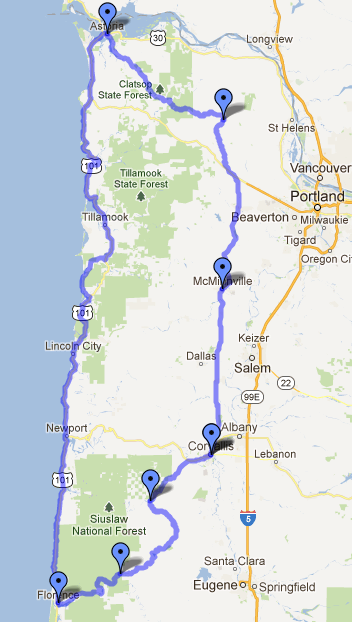 My plan is to go door-to-door from my house in Corvallis, ride north to Vernonia, and then west to Astoria. From there down the coast as far as Florence before heading off on back roads through the Siuslaw National Forest through the Coast Range to Alsea, and back to Corvallis. 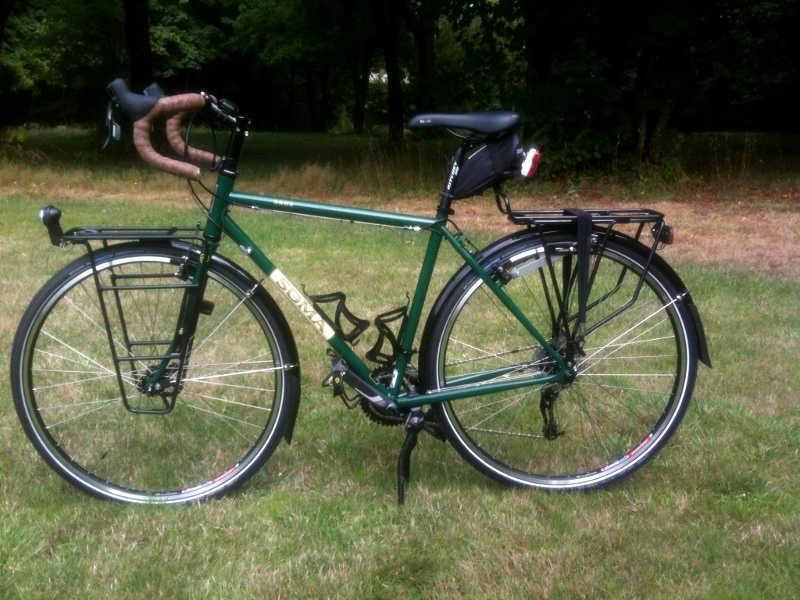 My new touring bike built on the Saga frame from Soma Fabrications in San Francisco. As a cyclist it can sometimes feel that the world is stacked against us. We've often got to deal with hostile drivers, traffic controls that don't work for us, and outdated laws that don't take cycling as a serious mode of transportation. That might be the case now, but like the man said "the times they are a changin". I was having difficulty getting the stock bars on my new Disc Trucker adjusted properly. If I had it so I was comfortable on the hoods I couldn't reach the breaks from the drops. If I rotated the bar down so that I could reach the brakes from the drops, the hoods were way too low. I decided to give this bar style a try. These are know as mountain or off-road drops. Salsa uses them on their Fargo and Vaya models. This one is made by Soma. Salsa, Soma, Surly all seem to be playing in the same market.